Contact Fifi Nail Salon & Spa in NYC for more information on our quality nail salon offering nail, massage and waxing services. Come to Fifi for wonderful pedicures and let us chase away your stress and help you relax! Massage and waxing services are also available. Walk-ins are welcome, or call for your appointment. You will appreciate our quality service and our discounted prices. Massage: Our body massages will give you a feeling of comfort and relaxation like a mini vacation from the every day pressures of life. Aromatherapy: A perfect treatment for those who demand an all natural method of to improve one's health while revitalizing their moods. Exfoliants: Removal of unwanted skin follicles will make your skin softer and will revitalize your appearance. Facial Waxing: By using the latest advances in hair removal we will gently take off the unneeded facial hair. Reflexology: Will relieve stress and vitalize parts of the body to improve general health. Body Hair Waxing: Remove all unwanted hair the safe and natural way. Are you ready for some royal treatment? Let FiFi Nail Salon treat you right! Our salon offers professional manicures and pedicures for enhancing your beauty to the New York, Manhattan area. Visit us for gels, minxs and silk nails. 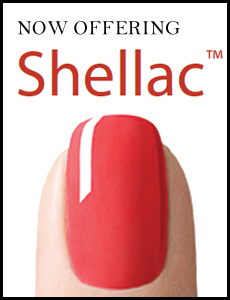 Not only do we offer a variety of artificial nail services, but we also specialize in the manicuring of natural nails. In addition, we offer mobile massage and waxing services for anyone, including and best for pregnant woman at home or the hospital.